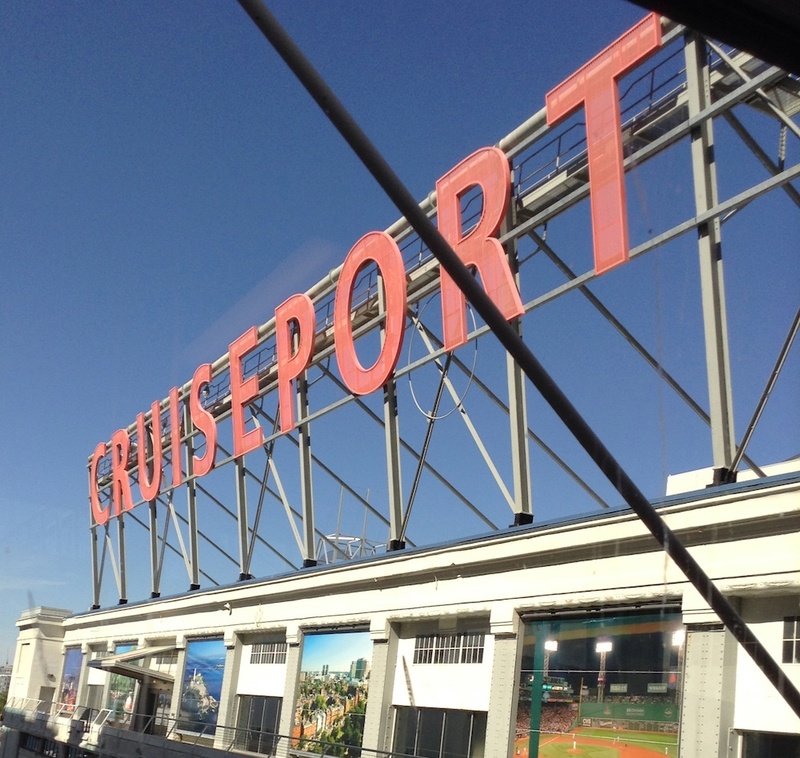 If you’ve been reading along at all, you probably know I went on a cruise last week. It was a New England Fall Foliage Tour, a quilting cruise sponsored by World of Quilts Travel and Road to California, and I was honored to be one of the teachers! 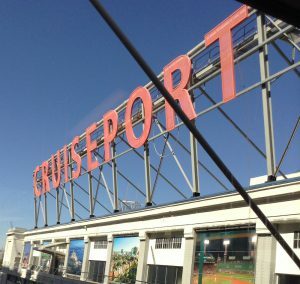 It was my first cruise, and I had a blast! 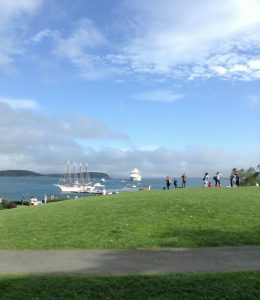 Having never been on a cruise, I wasn’t completely sure what to expect, but the entire trip went very smoothly. 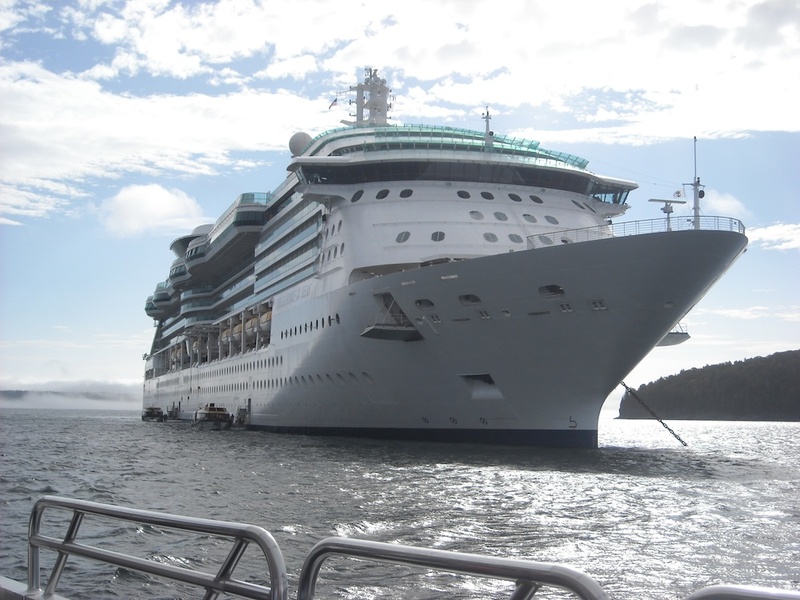 Our ship was the Brilliance of the Seas, a Royal Caribbean Cruise Lines ocean liner. My best bud, Victoria, was also a teacher on this cruise, and we were roommates, as we usually are when we travel together. We have a lot of fun! So many laughs on this trip. 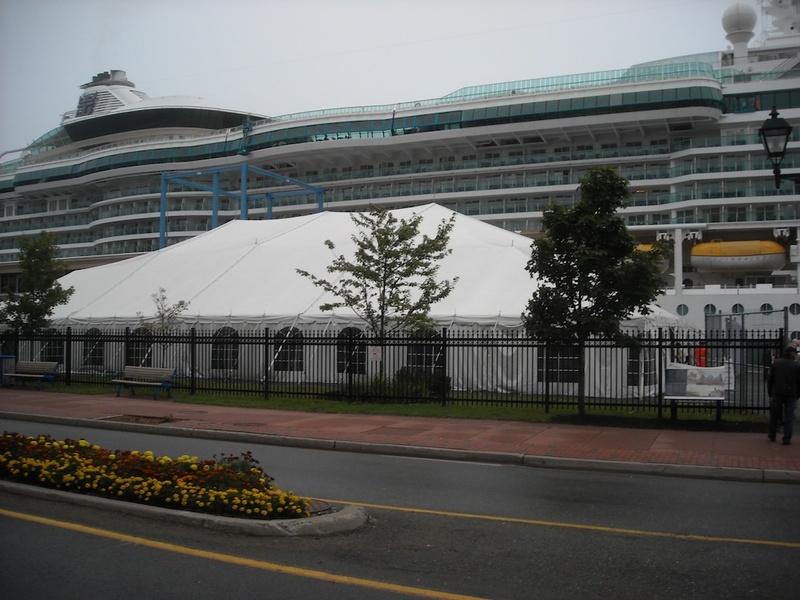 The cruise boat was like a floating city, and had everything you’d ever need to be happy, entertained, and comfortable. 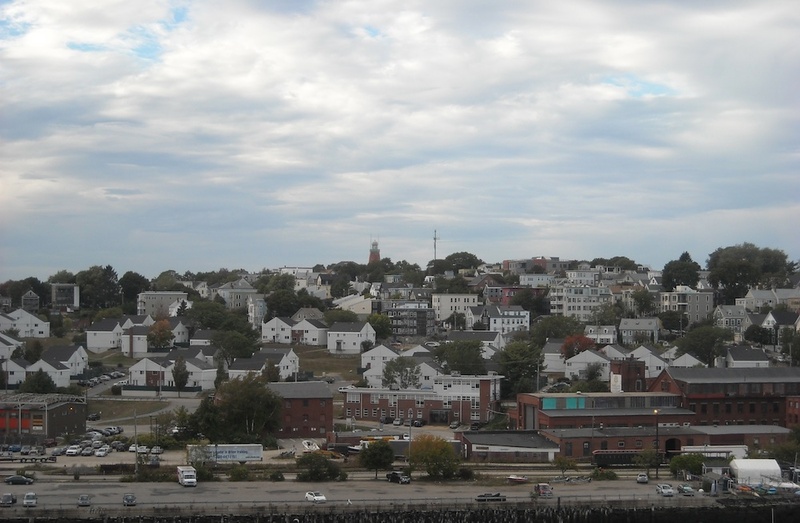 We set sail from Boston around 5:30 pm, were treated to a wonderful dinner while the sun was setting, and then we got to watch the lunar eclipse/Blood Moon over the ocean from our stateroom window. So amazing! 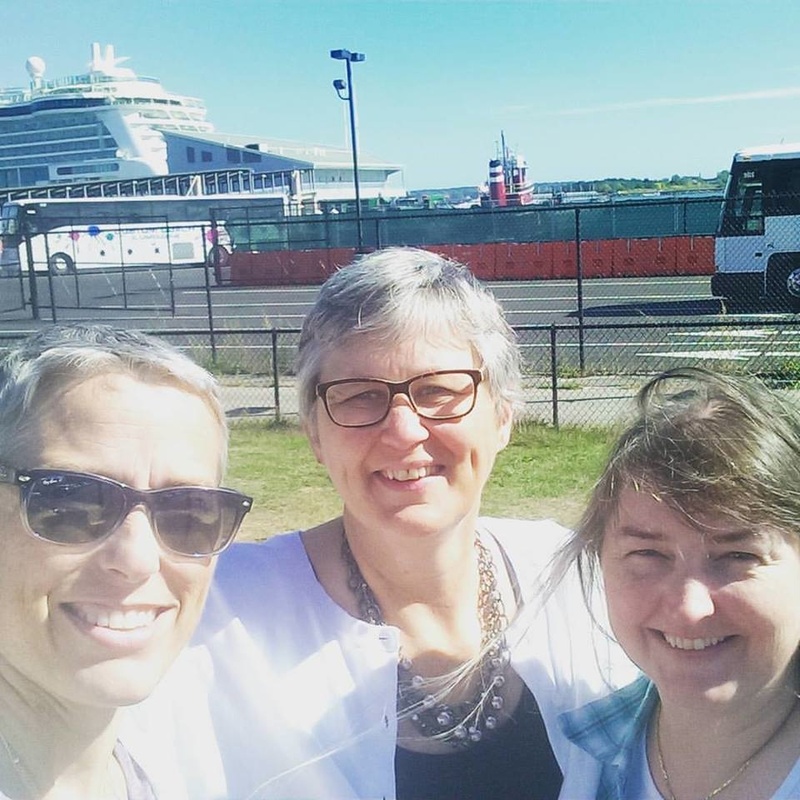 Our first stop was in Portland, Maine, where Victoria and I met up with our friend Maureen. Maureen took us to a local quilt shop, Sewing by the Sea, and then to lunch at a cute little diner. We walked around and did a little shopping. It’s a very cute little town with lots of charm. And it was a gorgeous fall day out. Overnight, we sailed to our next port, which was Bar Harbor, Maine. On this day, we had to take a smaller boat from the ship over to shore, which was fun. 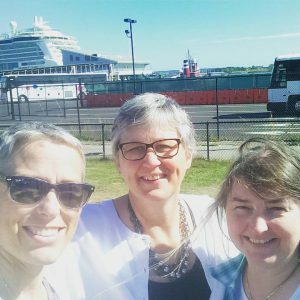 We strolled around Bar Harbor, visited another quilt shop, Fabricate, visited a yarn shop, ate lunch outdoors at a little cafe, and even found an antique store to stop into. This day was even more gorgeous than the day before — look at this sky! 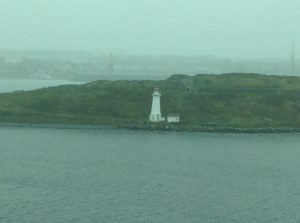 Again, we sailed overnight to our next port, Saint John, New Brunswick, Canada. 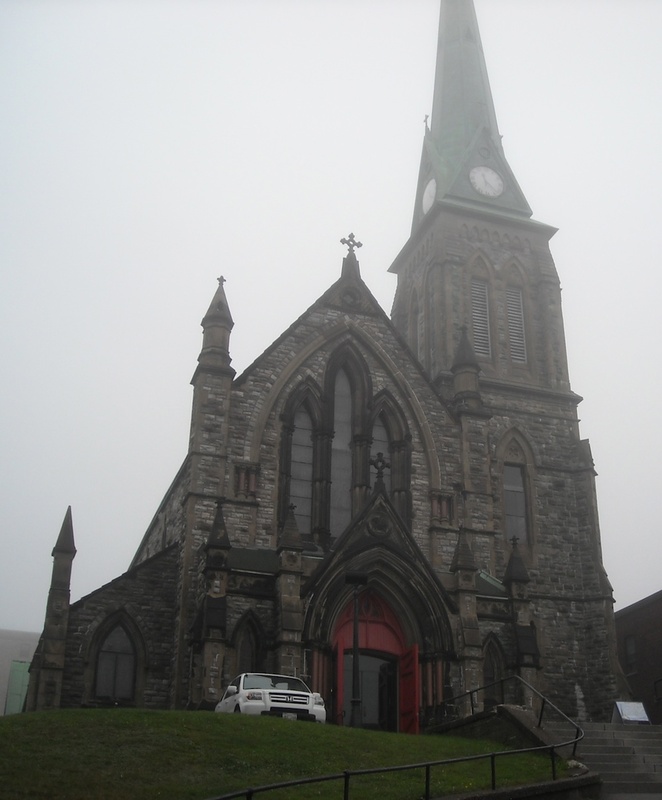 It was an overcast day, so we chose a non-rainy window of time to walk around and look at a few things in Saint John. 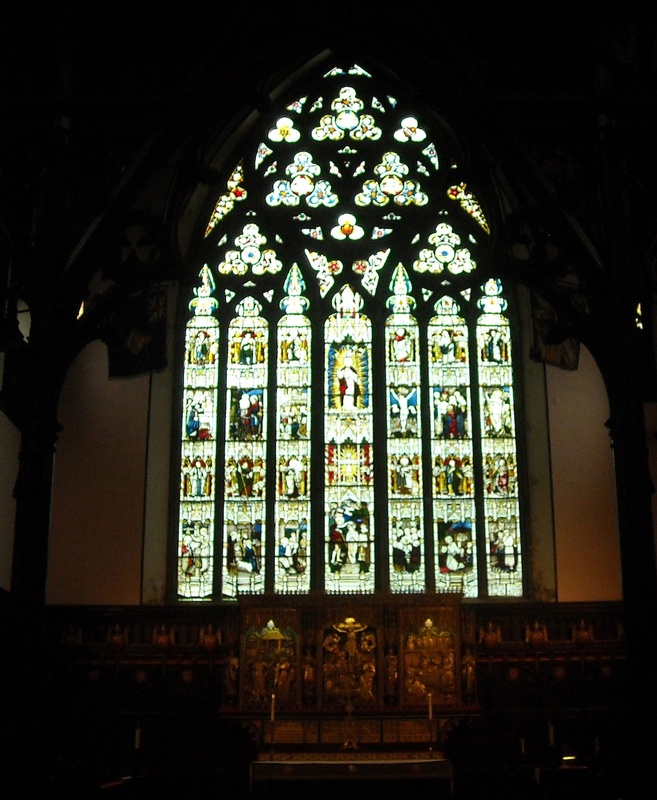 We visited some little shops, and a couple of beautiful churches. 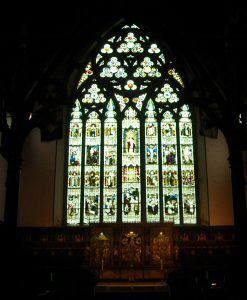 This one had fantastic stained glass windows and very ornate woodwork. We had no problem spending our afternoon on the boat with our handstitching, with this as our view, and even had time for a nap! 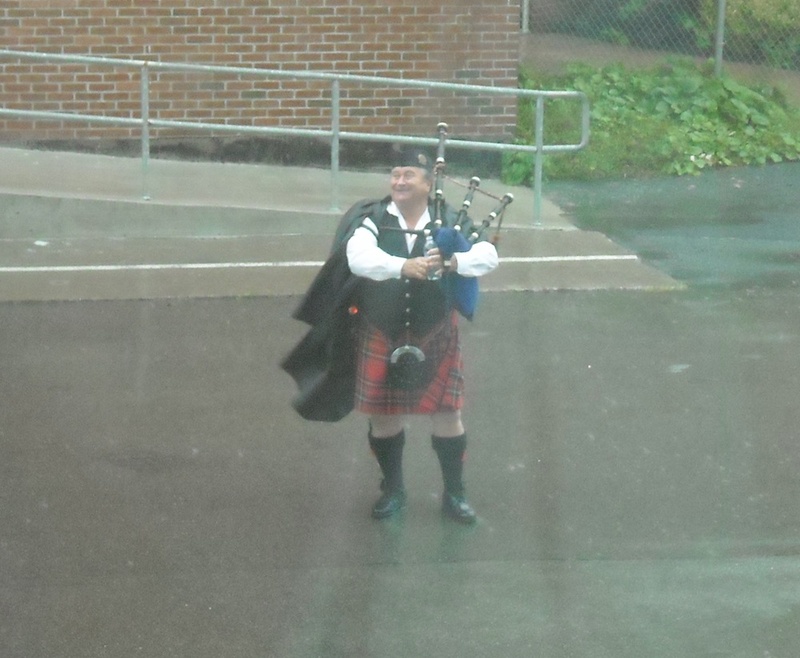 As we were leaving the port, a bagpiper came out, stood in the rain, and played for us as we sailed away. 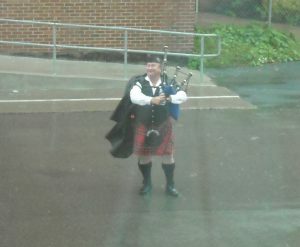 People who were out on deck were talking back and forth with him, and he acted like he didn’t even notice it was raining! 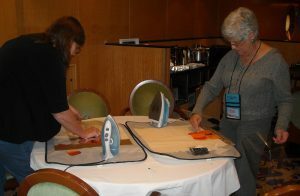 The next day, we were at sea all day (and all night for 2 nights), to get to our next destination, so that was the day for quilt classes. What better way to spend the entire day at sea, right? My first class was fusible applique, a wall hanging pattern called Oak Leaf and Cherries. I really enjoyed my students, and I hope they enjoyed the class. 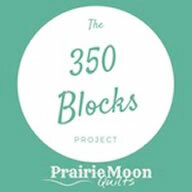 Everyone got at least one block’s pieces fused on, and they were opting to finish the edges in different ways. Some chose to do the hand-stitched blanket stitch around the edges, and some opted to take theirs home and do a machine stitch on them. 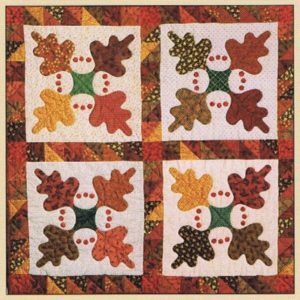 I really really enjoyed getting to look at all the different fabrics they chose for their leaves — such wonderful color everywhere! 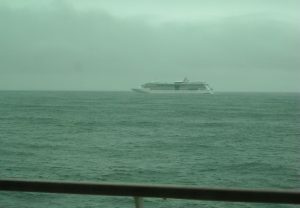 While we were in class, we passed another ship at sea! 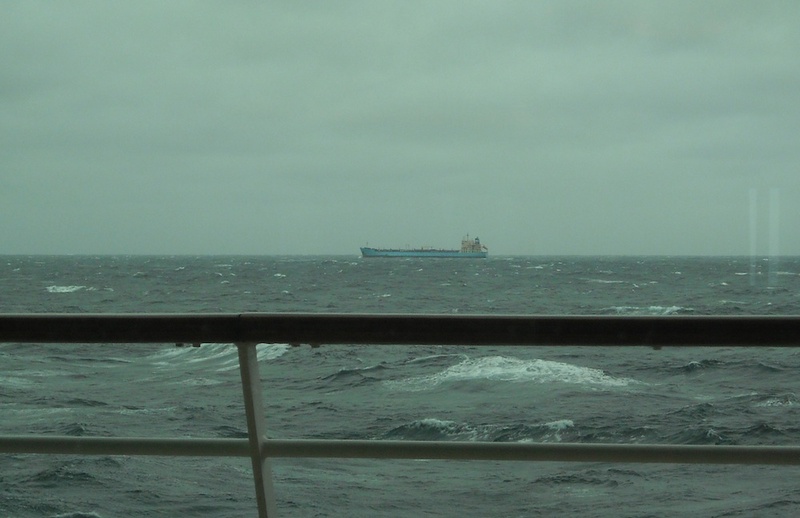 This day was also a little rough at sea, because the weather wasn’t the greatest, so a few people got a bit seasick. Victoria had some really good meds that she shared with me, so I avoided it, thankfully. 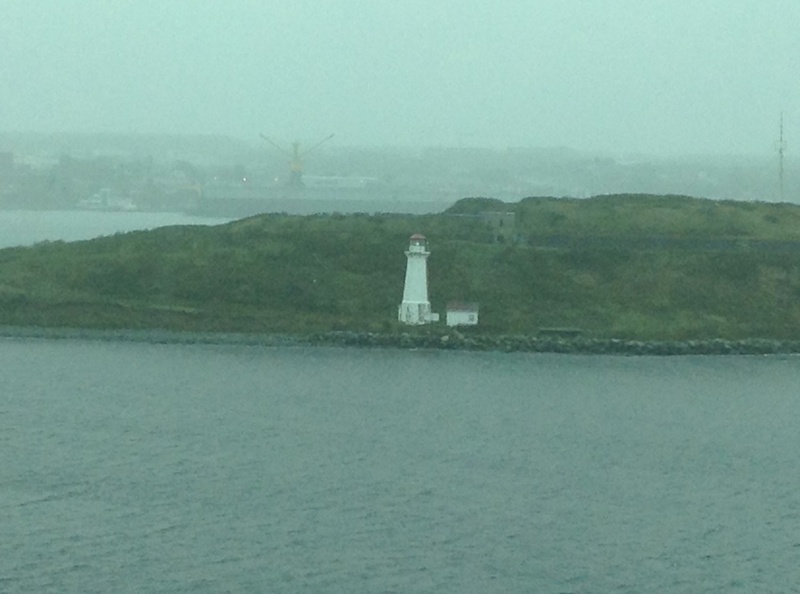 Friday morning, we arrived in Halifax, Nova Scotia, Canada. It was still raining. 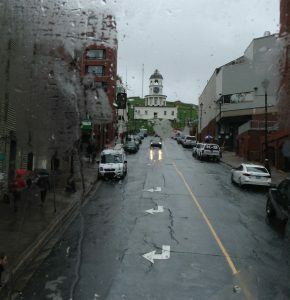 Rather than walk around in the rain, Victoria and I decided to take a bus tour of the city. We got driven around in an authentic double-decker bus while a tour guide explained the sights and gave us a bit of history about the place. We got to stay dry while still seeing a lot of things! Like this clock tower, upon which the hands are frozen at 9:04, the exact time of the Halifax Explosion on Dec. 6, 1917, when two ships collided in the harbor, one carrying tons of explosive materials. 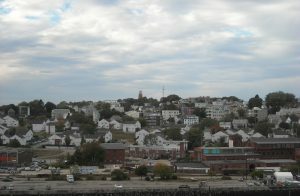 The explosion killed more than 1600 people and leveled the entire north end of the city. Halifax is also where many of the victims of the sinking of the Titanic were brought and buried. They have lots of exhibits dedicated to that sad historic event. After leaving Halifax, the ship set sail back to Boston, so we had another full day at sea for quilt classes. 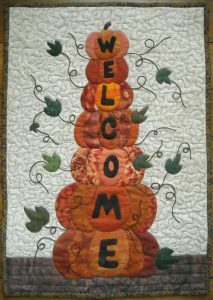 This time, I taught another fusible applique class, a bit more advanced, teaching my Autumn Welcome wall quilt pattern. Again, the students got most of their pumpkins fused down, and were planning to stitch them down in various ways. Another great day of looking at all the wonderful fabrics everyone brought to class! 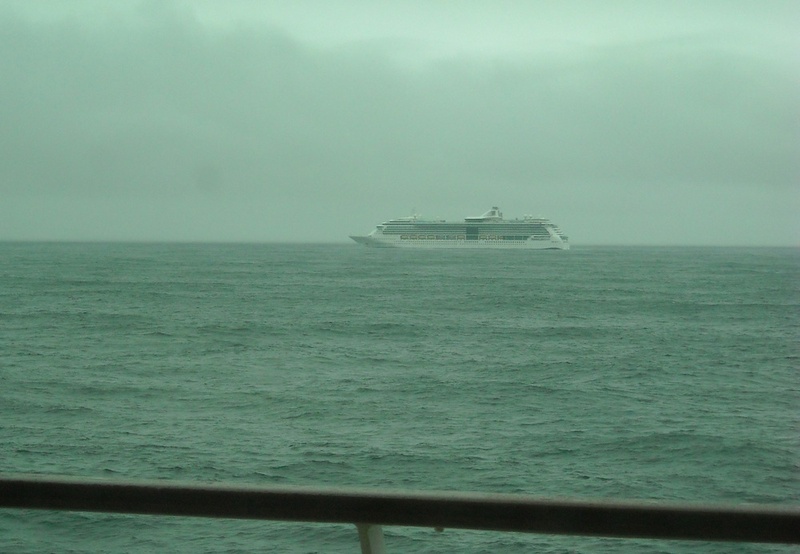 We passed another ship at sea on this day, too! Wednesday evening, Victoria flung the door open and yelped, because there was a bat hanging from the ceiling! 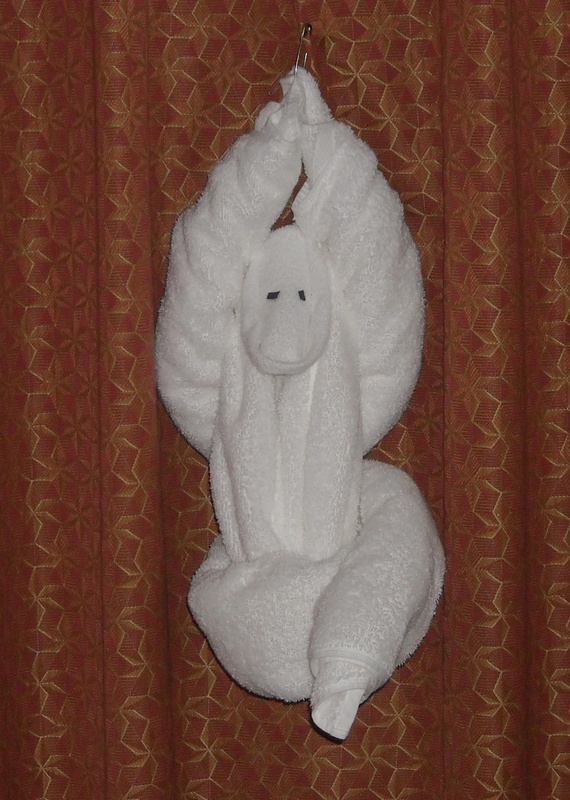 And Friday evening, there was a monkey hanging from the drapes. 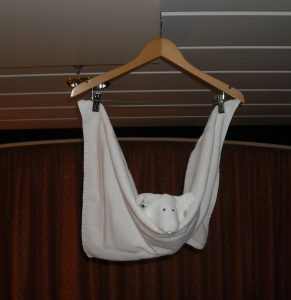 Our stateroom attendant, Fostor, took really good care of us. You might notice that Ceil has a large bandage on her noggin! 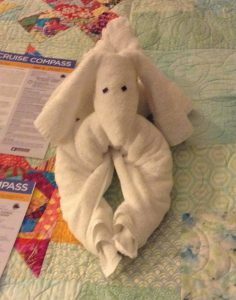 On the last evening, while packing in her stateroom, she tripped over her suitcase, fell and banged her head, and had to have five stitches! Thankfully, if she had to have an accident, it was on the last night, so it didn’t put too much of a damper on her trip. 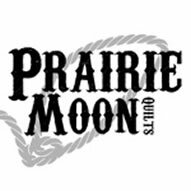 She was right back at it when she got home, doing some fabric shopping at Missouri Star Quilt Company, so she can’t be too bad off, right? 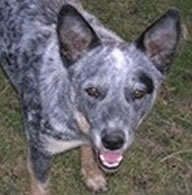 We docked back in Boston Sunday morning, and I got back to the ranch at midnight. I had a great time on the cruise, but it’s really good to be home! I have to say a few words about the boat itself. It’s massively huge! I am still having trouble wrapping my mind around just how large it really is. There were 14 decks on this ship. This picture I took while it was docked in Saint John shows the sheer size of it. It looks like a 10- or 12-story building, but it’s a ship! I was standing more than a block away, and couldn’t even get the entire boat in one picture. It had 4 or 5 restaurants, 6 or 7 bars, a casino, a performance theater and a movie theater, an indoor pool and an outdoor pool, both with hot tubs. There was a hair salon, a conference center, a business center, a small internet cafe, a dance floor midship, and a dance club on the top floor, a library, a full gym, a rock-climbing wall, a spa, 5 main elevators (and others for other purposes), shops to go shopping in, a photography studio, art exhibits, pool tables, chess tables, several lounge areas, and I don’t know how many staterooms. And that’s probably not all. I’m so amazed. There’s no way I’d ever get My Cowboy anywhere near one of these things! He does not like big open water for one thing, and I have to say some of the waves got kind of vicious on the last night. Victoria and I sat in our window and took some videos of them. 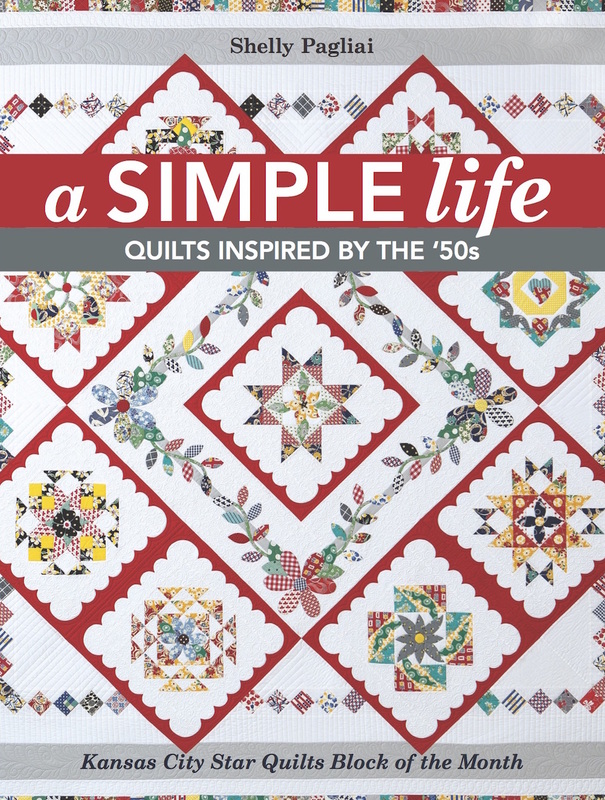 If you’ve ever wanted to go on a quilting cruise, I highly recommend it. Try it at least once! I so dropped the ball on this. Bar Harbor is 1 hour from Bangor. I have not bee really focused on things. Oh well, the NEXT time you are in my neck of the woods I will come and visit. I am having a hip replacement tomorrow Yay having a new hip… Boo having to have surgery. I had a stomach flu all day on Thursday of your cruise. 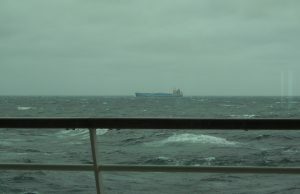 I do remember wondering if you were rolling around on rough seas and being seasick and I was just joining in sympathy. I worried for you. It is the mothering thing in me. 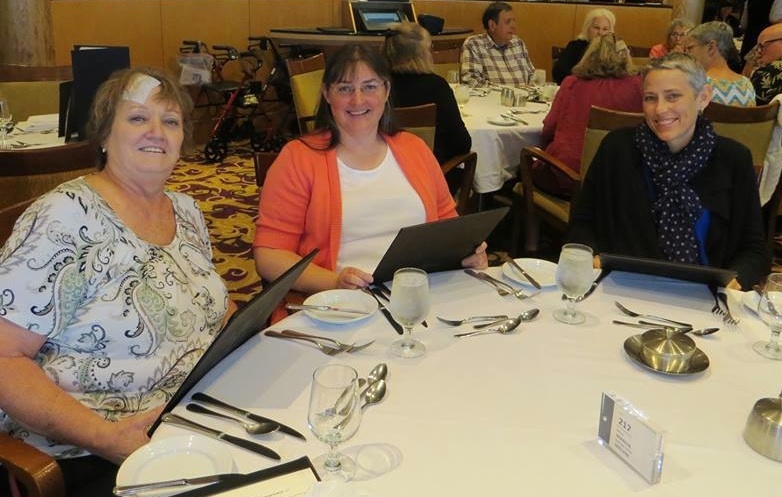 I had a wonderful time on the cruise too! It was so great seeing Shelly again and getting to know Victoria. My daughter Carol is coming over Saturday to work on her pieces so she can finish them. I will hopefully get my head stitches out tomorrow, but I FINALLY get to wash my hair today. woohoo! I’m paying for that fall with bruising going south on my face – in both eyes. Now it’s down to my cheeks where it shows beneath sunglasses level, so I’m laying low for awhile. I need to get my passport renewed….